APOLOGIES THERE HAS NOT BEEN ANY UPDATES ON HERE FOR A WHILE LADIES AND GENTS - ROBERT MUST DO BETTER!! THIS CAR WAS ADDED TO THE WEB PAGE ON 17TH MARCH, AND THIS CAR IS IN STOCK NOW...DON'T HESITATE TO POP BY FOR A LOOK OR CALL ROBERT ON 01909 500733 FOR ANY FURTHER INFORMATION!! HERE WE HAVE A FANTASTIC LITTLE RUNABOUT ON OFFER!! 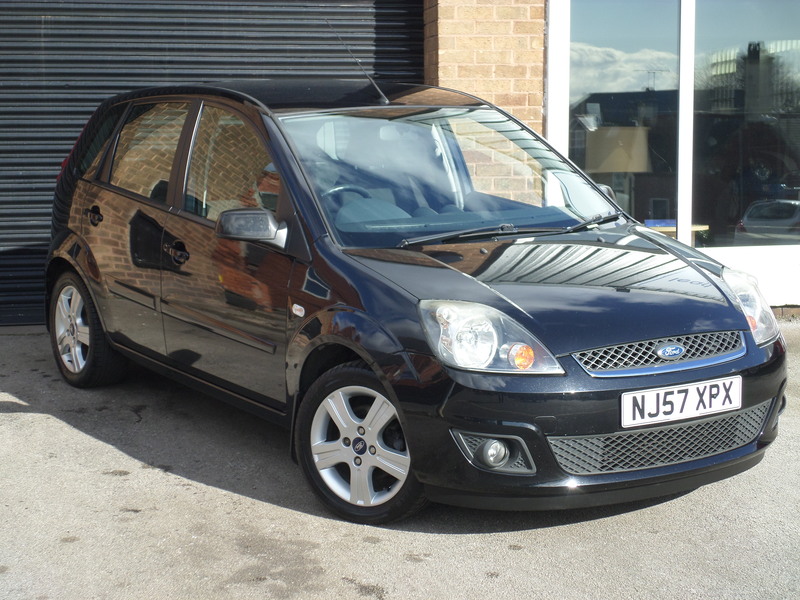 A LOVELY EXAMPLE OF WHAT IS ONE OF BRITAINS BEST SELLING CARS, THE FORD FIESTA! YES, A LITTLE OLDER AND WITH A FEW MORE MILES ON THAN WE NORMALLY RETAIL, BUT THIS IS A CAR WE KNOW AS IT IS ONE WE HAVE HAD THE PLEASURE OF SERVICING AND MAINTAINING HERE AT LEAD HILL...IT HAS HAD A RECENT CAMBELT CHANGE, AN EVEN MORE RECENT SERVICE (CARRIED OUT JUST TWO OR THREE WEEKS AGO), AND WILL BE SUPPLIED TO ITS NEW OWNER WITH FOUR NEW TYRES FITTED AND A 12 MONTH MOT TEST ALSO!! AS SAID BEFORE, THIS HAS ALL THE MAKINGS TO BE A CRACKING LITTLE RUNABOUT...OR POSSIBLY AN IDEAL STARTER CAR FOR SOMEONE! !